You know what Spring means? PEAS. Okay, maybe not the first thing that came to your mind, but it is what came to ours. 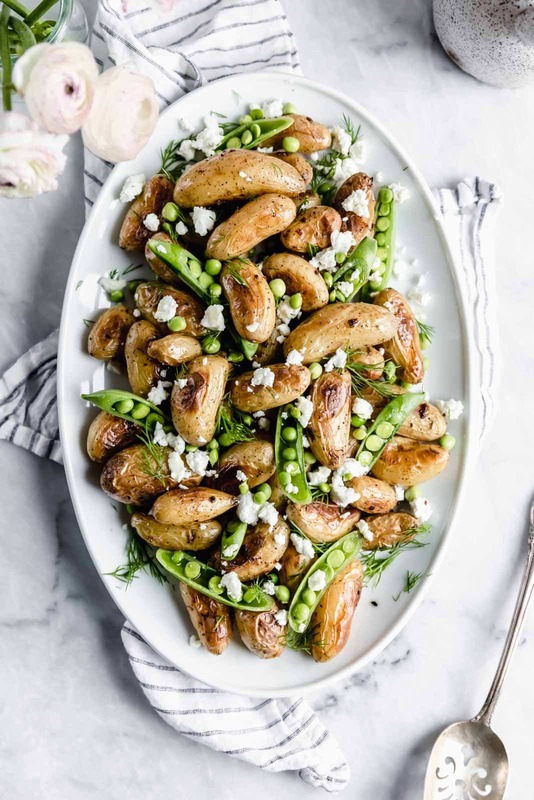 As you love bugs know, we love using produce when it’s in season, so when we wanted to make some spring potatoes, we knew we had to make these beautiful garlic roasted fingerling potatoes with dill, goat cheese, and peas. Creamy, crunchy, and full of flavor, these are the perfect side dish for any meal. If you’re not a potato person 1) you can’t sit with us and 2) these will change your mind. Just kidding. You can always sit with us, but like for real you have to like potatoes. 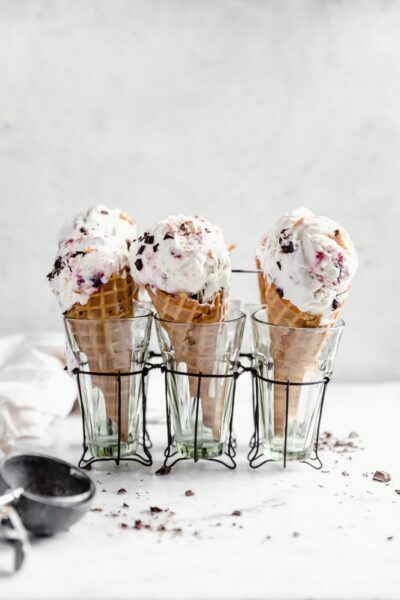 And if you make these I truly don’t see how you could not. They’re a flavor and texture explosion and one of our favorite savory dishes. 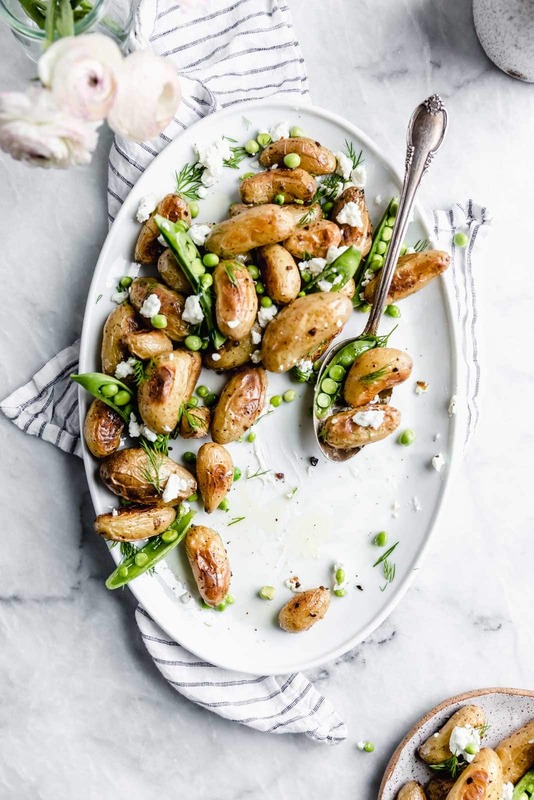 These garlic roasted potatoes are cooked to crispy perfection and then tossed with fresh dill, crumbled goat cheese and spring peas. The recipe comes together in snap, but looks super fancy. Pair this with a springy salmon, chicken, or really anything this season. Ahh garlic. Back when I didn’t cook at all, garlic was one of my most feared ingredients. I didn’t reaaaally understand how you were supposed to prepare it and I felt like every time I cooked with it I ended up with an unintentional huge chunk somewhere in my food. Then I bought this amazing garlic press and now I actually put garlic in everything. Oops. Take your garlic and peel away the papery exterior so you can get to the cloves inside. Press down firmly on top of the garlic and the cloves should split apart. Using a sharp knife, slice off the root end of the clove (this is where its a little brown and the skin starts). Press the flat side of the knife flat against the clove and give it a good whack. This should loosen the skin and it will fall off the clove. Once all the skin has been removed take the clove and finely chop the garlic in both directions, so that you get super tiny pieces. Once again take the flat side of the knife and press down on the garlic, scraping the knife back and forth until the garlic almost begins to form a paste. Voila! If you’re still confused this is a great video to watch! 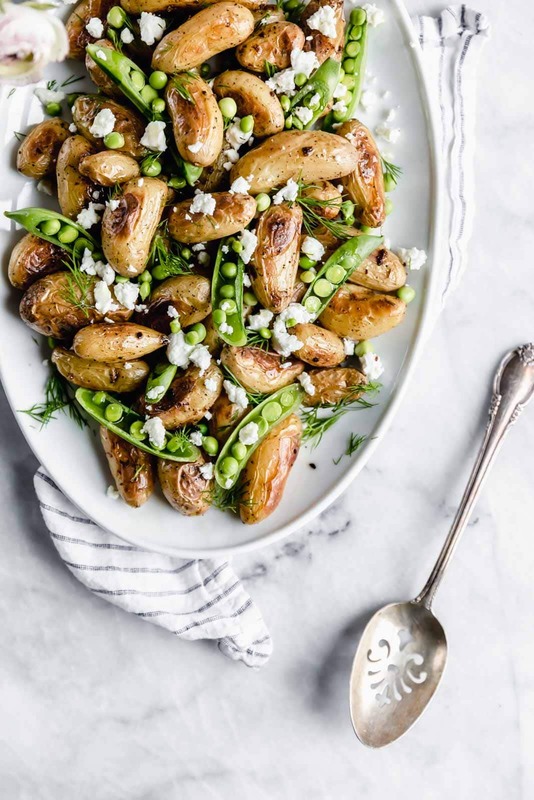 Whatever the choice, these roasted fingerling potatoes are the perfect vessel for all sorts of flavors. Have a wonderful weekend full of potatoes and brownies my loves! 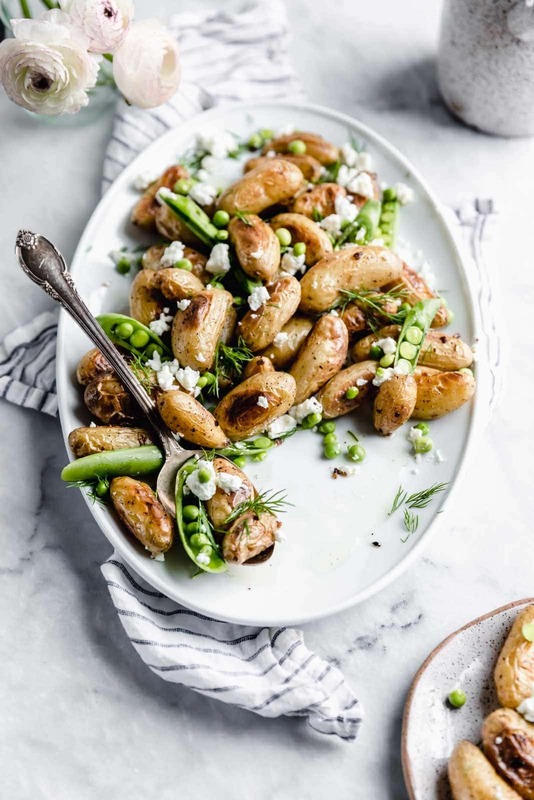 These roasted fingerling potatoes with dill, goat cheese, and peas are our new fav side dish. Full of texture and flavor, you’ll love these spring potatoes. Preheat the oven to 400°F and line a large baking sheet with parchment paper. Set aside. In a large bowl toss the potatoes, olive oil, garlic, salt and pepper together so that the potatoes are completely coated. Transfer the potatoes to the prepared pan and spread out into one layer, leaving room between each potato. Roast for about 45 minutes or until they potatoes are brown and crispy. About 20 minutes in stir potatoes so brown the other side. Allow potatoes to cool before tossing with fresh dill, goat cheese, and peas. Serve hot! Oh yes! 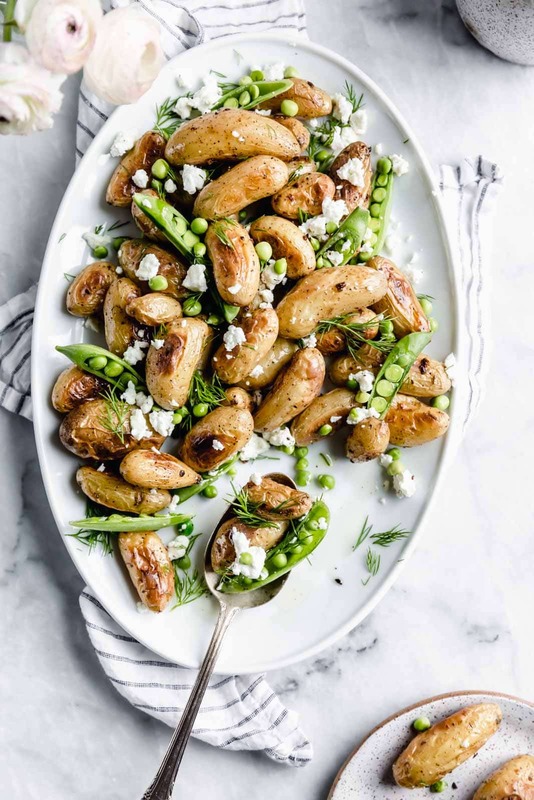 Don’t just roast your fingerlings! Roast them with yummy flavors! This is awesome! Thank you, Susan! We’re right there with you! Roasted fingerlings are the best! 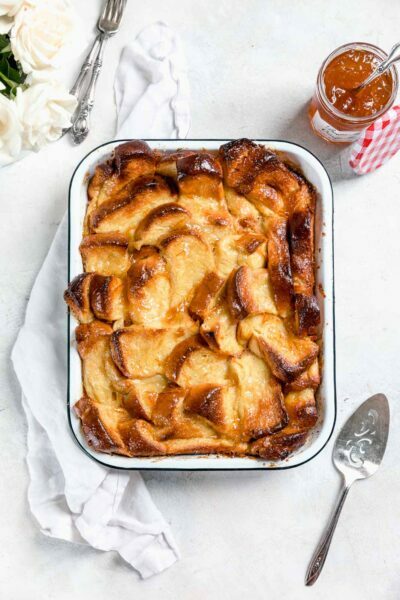 This is the perfect spring side!